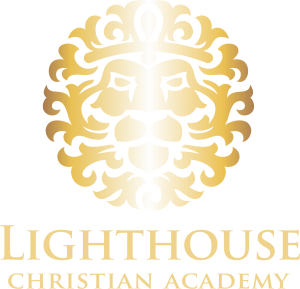 Lighthouse Christian Academy, a private school and a ministry of Lighthouse Baptist Church in Dawsonville, Georgia serves grades K4-12. We use Abeka Christian School materials, in traditional classroom settings, with elementary, middle, and high school teachers who hold qualified degrees, have strong Christian character and a passion to guide students to realize their God-given potential. How Many Days Are In The School Year/Why Do You Start So Late? What if School is Cancelled? How Will I Know? There will not be uniforms but there is a dress code. Specifics and standards of the dress code can be found in the Parent/Student Handbook. Doors will open at 7:45. School starts at 8:00 am and ends at 2:30 pm. LCA uses Abeka Christian School Curriculum. LCA offers dual enrollment opportunities for students In 9th-12th grades with UNG, Lanier Tech and Toccoa Falls College. Yes, LCA is fully accredited. We have been granted full accreditation by the Georgia Accrediting Commission. Based on feedback from a parent survey, we have opted to have a longer summer break. LCA is in compliance with state and GAC standards and has 180 scheduled school days. Parents will need to use the Remind app for messaging. School closings will also be announced on the Facebook page, or can be viewed on Fox5 Atlanta. Generally, if area public schools are closed, LCA will close. We will not have an organized school lunch program. Students will need to pack their lunches and bring snacks for morning snack time. We may offer students the ability to order out food on Fridays, and may provide some breakfast items for purchase. Students should be discouraged from bringing drinks high in sugar or caffeine such as soda or energy drinks.